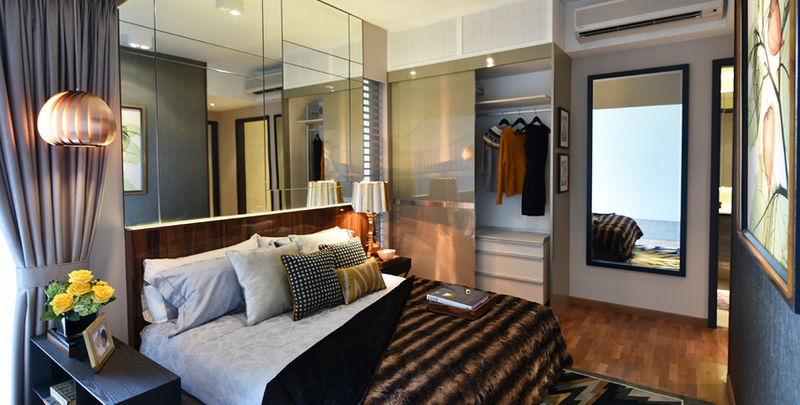 Well thought and well-designed, the Suites are graced with compact space-efficiency and style. They offer flexibility, and the ability to maximise the space to fit your needs and store all your prized possessions. Set yourself apart from others horizontally and vertically. A blank canvas that reflects your imagination and vision. This is your sanctuary. It’s time to be you. Luxurious and stylish, this family residence is the perfect place for a happy home. 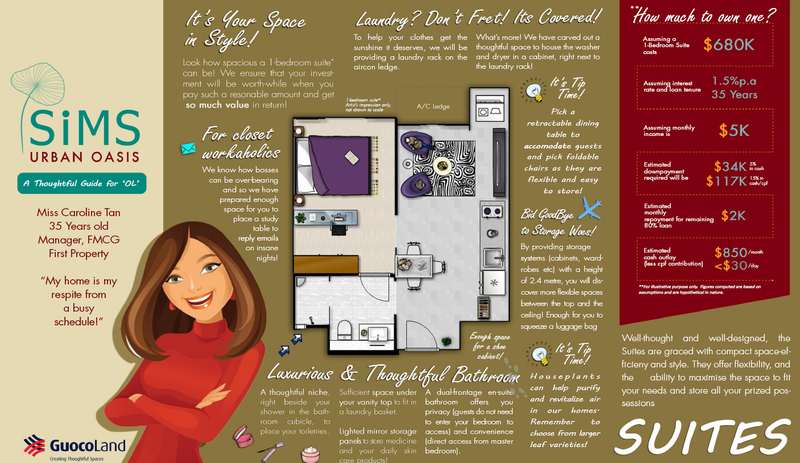 Generous and roomy, without compromising on precious privacy. Let your kids roam free while you enjoy a romantic retreat to the tranquillity of your room. Multi-generational families will find that this is a home that every member of the family will love. Every day is a celebration when you reside in the best Sims Urban Oasis has to offer. 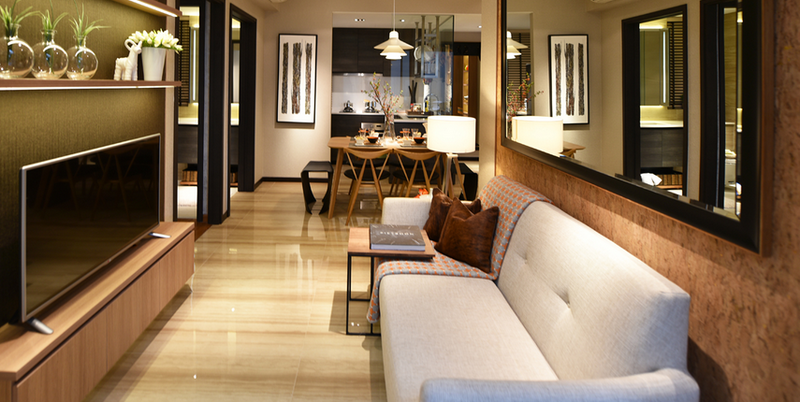 Appointed with the finest finishings, this is the hallmark of luxury living. Be mesmerised by the exquisite design and lavish details as you take in a sweeping panoramic views from every angle. At Sims Urban Oasis, a home is more than a dwelling. A home is where harmonious family life is fostered, lasting friendships are forged and memorable moments are created. 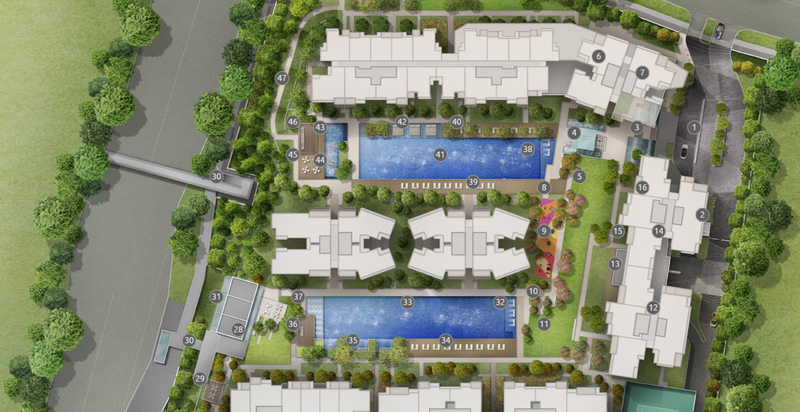 Thoughtfully designed, Sims Urban Oasis’s expansive grounds are designed to create multiple zones to cater to the needs of different communities, the young, the yuppies and families. To encourage active community living, Sims Urban Oasis is equipped with two Olympic-length swimming pools, an extensive gym, a large lawn, barbeque pavilions and recreation spaces for neighbours to interact. GuocoLand Limited is a public company listed on the Singapore Exchange since 1978. The principal business activities of its subsidiaries are property development, property investment, hotel operations and property management. As a premier regional property company, GuocoLand is focused on achieving scalability, sustainability and growth in its core markets through its property development, investment and management businesses. 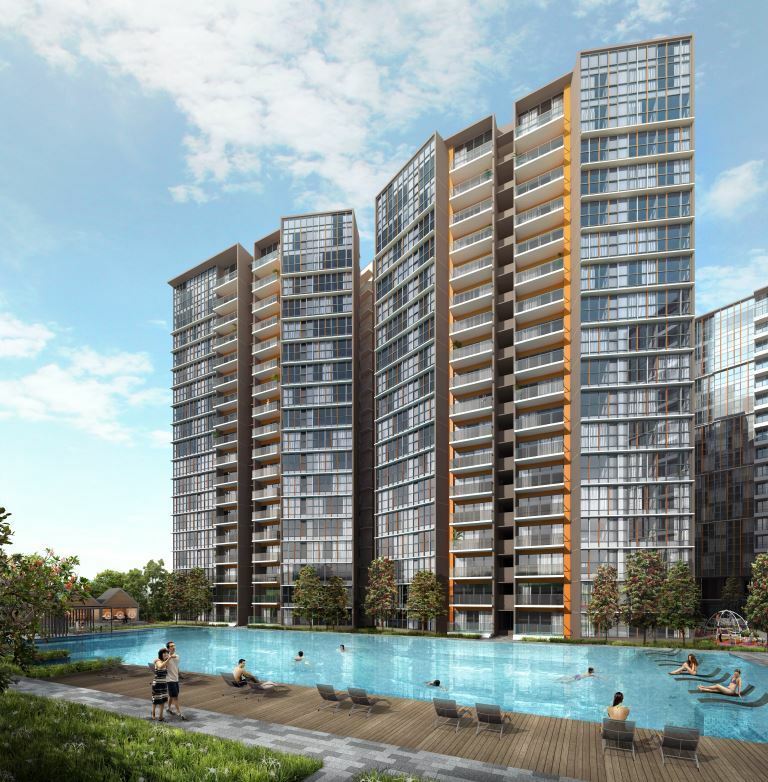 In Singapore, GuocoLand has successfully developed and sold 33 residential projects in Singapore yielding more than 9,000 apartments and homes over the last 25 years. GuocoLand now holds a portfolio of premium developments in the prime districts of Singapore, its flagship development being theTanjong Pagar Centre, a multibillion integrated mixed-use development in the Central Business District (CBD). To be completed in 2016, it has already achieved the LEED (CS) (Leadership in Energy and Environmental Design) Platinum Precertification. The commercial components have also been presented with the Singapore Building and Construction Authority (BCA) Green Mark Platinum award. GuocoLand is also responsible for notably eco-friendly buildings such as the Green Mark Award winning Goodwood Residence and Sophia Residence. Other projects, such as Tanjong Pagar Centre, Leedon Residence, Elliot at the East Coast, The Quartz and The Waterline have also won the prestigious award, which is the highest honour for certified green buildings in Singapore. GuocoLand’s wholly-owned subsidiary, GuocoLand China (GLC), has been active in China since 1994. GLC is an established property developer in China with a sizeable portfolio of properties in Beijing, Shanghai, Nanjing and Tianjin, including integrated mixed-use developments Beijing Guoson Centre and Shanghai Guoson Centre, which have both won awards at the Asia Pacific International Property Awards 2010. The group has also developed properties around Malaysia and Vietnam, most notably mixed use project Damansara City, KLCC’s luxury condo The Oval and boutique gated bungalow community The Rise in Kuala Lumpur, and The Canary, an integrated development 30 minutes away from Ho Chi Minh City. For more information on Sims Urban Oasis, simply fill up your details below and our salesperson will get in touch with you shortly!